Fastener Fair Stuttgart 2015, the International Exhibition for the Fastener and Fixing Industry, ended today, after three very successful show days. A total of 11,060 visitors have come to Stuttgart to discover the latest trends and products from all areas of fastener and fixing technology. This means a further growth of 4% compared to the last event in 2013. This year, a total of 833 exhibitors from 42 countries covered a net exhibition space of 18,500 m2; hence the exhibition was fully booked. Compared to the last exhibition this amounted to an increase in exhibition space of 15%. The range of exhibits at this year's show included industrial fasteners and fixings, construction fixings, assembly and installation systems and fastener manufacturing technology. Fastener Fair Stuttgart 2015 again attracted trade visitors from all over the world. 60% of the 11,060 trade visitors travelled to Stuttgart from abroad to discover the latest industry trends, to build international trade networks and to source new products and systems. The most important visitor countries after Germany (40% of all visitors) were Italy, Great Britain, France and Poland. As a consequence, the number of international visitors increased compared to the previous event. In addition, the quality of visitors increased as well; the attendance of top management and visitors with decision making capacity increased by 10%. "The busy atmosphere at Fastener Fair Stuttgart 2015 reflects the overall positive outlook of the industry. We are particularly delighted to be able to say that many exhibitors reported on lively trading activity and networking taking place throughout the four exhibition halls", explains Nicola Hamann, Managing Director of the organisers, Mack Brooks Exhibitions. Results of a first exhibitor survey reveal that an absolute majority of exhibitors were highly satisfied with the results of the trade show. The quality of the visitors and the international flair were especially highlighted by many exhibitors. Most of this year's exhibitors are already planning their participation at the next Fastener Fair Stuttgart which will be held from 28 - 30 March 2017 at the Trade Fair Centre in Stuttgart. 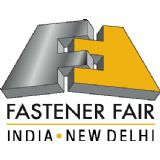 27 March 2015 in St. Petersburg and Fastener Fair India will be held from 23 - 24 April 2015 in Mumbai. 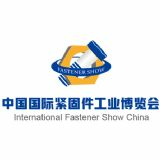 In addition, the date for the third edition of Fastener Fair Turkey was recently announced which will take place from 30 - 31 March 2016 in Istanbul. 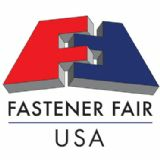 The next Fastener Fair Mexico is scheduled from 01 - 02 June 2016 in Mexico City. Further information on Fastener Fair Stuttgart is available at www.fastenerfair.com/stuttgart and further details on Fastener Fairs at www.fastenerfair.com.